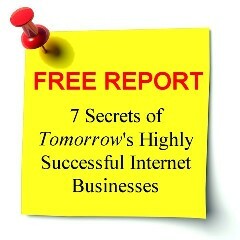 Are you worried about what the ‘Internet’ is going to do to your small business, job or livelihood? Are you finding that ‘technology’ is bringing so much competition online that you find yourself having to work harder and harder for less and less? Are you a creative professional (e.g. writer, musician, graphic designer, photographer) being exploited to work for free and promised to be paid with supposedly more valuable “exposure”? Are you mad at the fact you are being impoverished by a market that is pricing the value of your creative works lower and lower towards zero?These concerns are examples of the ongoing slow-motion decimations of the middle-class and the enrichment of the 1%. The Internet per se is not the culprit of this crime against the middle-class. Rather, the perpetrator of this crime is the Google Trap effect. This effect is caused by Internet aggregators, of which Google happens to be the biggest. Thanks to the Google Trap, small businesses, artists, freelancers and creative professionals are pitted against one another in a race towards the bottom. The only beneficiaries are the big boys (the 1%)—Internet aggregators like Google, Yahoo!, Facebook, Amazon, eBay, oDesk, etc. If you are worried, this book will give you tips on how to beat the Google Trap. Make no mistake, Internet aggregators are going to get bigger and bigger. Hence, more and more people (who are previously untouched by the Google Trap effect) are going to find themselves engulfed by them. Slowly and surely, the middle-class will gradually be decimated. This will happen unless we start a movement to halt the encroachment of the Internet aggregators. The Google Trap effect that they caused is like a cancer that will eventually kill the patient (society and consumers) if not subdued.